The Zero Emission Propulsion System (ZEPS) Bus is perhaps one of the most promising electric-powered buses to be developed yet. Promising a MPGe of 16.04, the bus is powered with a 180kw electric motor rated at 241hp. For batteries, the ZEPS Bus uses Lithium-Iron Phosphate batteries, which have many benefits, including longer cycle life, slower rate of capacity loss, more chemically stable, and less susceptible to overheating/igniting. With a range of 120-150 miles, the ZEPS Bus comes closer to equally the range of similar diesel buses than any other electric bus built before. 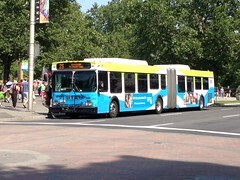 The bus is also capable of running at highway speeds and powering an A/C unit while in motion. 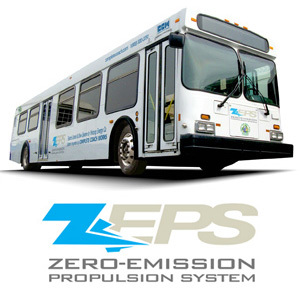 Unlike most electric buses, the ZEPS Bus is not built completely from scratch. Using pre-existing buses that have already been carrying passengers, CCW rebuilds the bus and replaces the diesel engine/transmission with the ZEPS Bus drivetrain system. 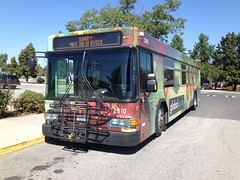 For the BFT Zeps Bus, the unit being rebuilt is #248, a 2005 Gillig 40′ Low Floor. 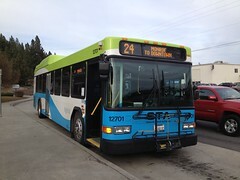 #248 had been recently damaged in an accident in Richland and was already undergoing restoration at a facility in Las Vegas, so the timing of the ZEPS Bus project works out quite well. The rebuild of #248 into a ZEPS Bus is extensive enough that it will be issued a new VIN number and title. In regards to facilities, no major modifications will be needed beyond a charging station to be installed at BFT’s base. CCW states that it takes 6 hours to fully recharge the ZEPS Bus batteries, so it will be able to charge overnight and remain in service for most if not all of the service day. According to CCW’s calculations, a single ZEPS Bus can remove 204 short tons of greenhouse gases per year when coupled with 100% renewable energy generation, and can save an agency $330,000 over 7 years in fuel and maintenance costs. With the Tri-Cities having hydro, solar, wind, and nuclear energy sources all in the immediate vicinity of the metro, the ZEPS Bus will easily be a 100% green technology initiative. Previously, BFT has done a demonstration of biodiesel in their entire fleet, and have had their new administration building certified as LEED Gold. BFT staff have stated that the ZEPS Bus is set to debut sometime towards late fall or the end of the year. CCW was able to build the prototype ZEPS Bus in just 10 days, so there doesn’t seem to be too much of a risk of delays. Once the ZEPS Bus goes officially into service, I plan to head down to the Tri-Cities and check it out, as well as get some photos.